Like billions of other people around the globe, despite their origin or religious beliefs, I enjoy a nice cup of tea. Maybe because tea is a product of its terroir and thus offers a whole world of aromas open to explore. Or, maybe it’s because of its properties that depending on the tea variety can be medicinal, contemplative or stimulating. The latter one is quite well known and is the reason why many people have a cup of their favorite tea in the morning, especially if they don’t drink coffee. To which incredible extent it can be stimulating is probably unknown to the majority and I just found out by chance. Curiosity brought me to Yunnan, a province in the south of China, to explore a little bit of the region where my favored tea– Pu’Erh–or, also known as brick tea, comes from. 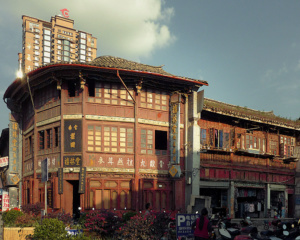 The tea is named after the city Pu’er around which it is grown and is considered by some to be a red tea; by others to be a black tea. Categories like black, white, green or red teas give an indication of the processing, especially the degree of oxidization of the young shoots of the tea plant with its tender leaves. Because, unlike green teas, boiling water can be poured over Pu’erh and it can be steeped for an unlimited amount of time without becoming bitter. And since I’m generous in allotting the tea time in my teapot for an intense taste and effect, it resembles black oil. Seeing this, my Chinese friends would politely point out that this is not the way the tea is supposed to be brewed and that the outcome should be more like water tainted by a rusted metal pipe, which is achieved by simply putting less tea into the pot. Real tea, unlike hibiscus, apple or peppermint, comes from a single plant, Camellia sinensis. This particular plant is most commonly cultivated in rows of shrubs, where the shoots can easily be harvested either by hand or by machines. But the plant has the potential to grow up to be a tree of 15 meters in height and can outlive dozens of generations of tea cultivators. The tea of these several hundred year old trees, are highly valued and highly priced. During my stay in Kunming, the capital of the Yunnan province, I had a visit to a tea merchant on my agenda to buy tea for friends and family and also for myself. I, the trusted purchaser was excited in anticipation. I derive great joy from knowing that a master of crafts is taking care of me, guiding me on my explorative path, enabling me to learn more about this realm. From previous experiences with masters of crafts I realized, the more knowledge I bring to the table, the more there is to learn and usually renders the whole experience more intense. Masters, even though they are willing to take care of the uninitiated, are also taking great joy in being challenged and questioned. So, I came to the shop prepared. Just the day before, I made the choice of which tea shop I was going to spend the next hours at, by a mixture of gathered information and gut feeling. After entering the shop, which was devoid of any customers, I was attended to by two young shop assistants. From their astonishment of finding a European in their shop, who was even asking for Pu’Erh tea and from the fractured English in which we conversed, I concluded that we were all in for a unique occasion. After I described my desired aroma profile (rather earthy, neither sour nor fishy), I was presented with the first dry tea for my visual inspection out of the shop’s bountiful collection. 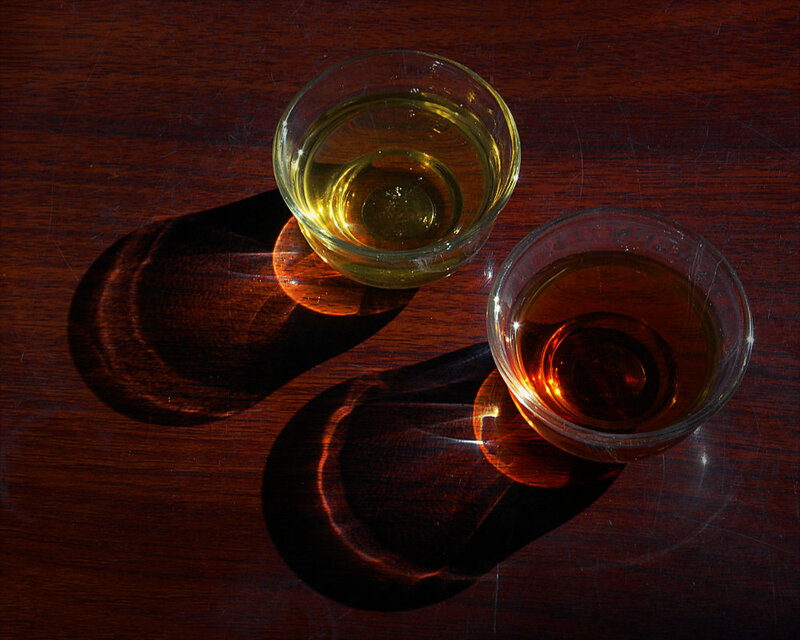 Pu’Erh tea is either sold as “loose” tea, where every single tip is distinctly identifiable, or in a pressed form. The latter option also gave Pu’Erh the name Brick tea. This form allows the tea to be stored in a compact and economical way; a crucial aspect, considering that Pu’Erh is one of the very few teas in the world that improve its quality through aging. For this reason, I think Pu’Erh is similar to wine. If it’s produced well and depending on the vintage, its value can increase over the years. The coarse and loose tea matter that I was now holding in my hand generated some doubts about the quality of the tea and I expressed them as best as the circumstances allowed, which sent my friendly attendants in a haste to the next shelve from which they returned with a new sample of tea, eagerly awaiting my response. Although we made small progress towards my desired outcome, we were still far away from it. The next few attempts didn’t bring any change, but luckily, the spirit barometer of the by- now-three attendants was still showing high numbers. He must have sensed it. The owner of the shop and, as I found out later, also of a tea plantation was descending down the stairs, entering the showroom and the entire game changed completely. His English was worse than the English of the attendants. I relied on their help, but his supposed lack in language skill was balanced by attentive open professionalism that dates back hundreds of years, as he was the xth generation in his family’s tea tradition. Somehow one could assume him to be one of the old wolves in the business, at least the air around him attested it. Through his younger assistants, he inquired about my wants and got the same response I gave earlier to the young lads. With the determination of a hunter who never misses his prey, he walked straight to a different shelf from the ones I got the samples before and picked a tea. I looked at it, approved and then we drank it. Spot on. Apparently, with him, I was leaving the bottom shelf sector. For our ceremonial tea tasting, the two of us sat down into (yes, into), a single piece rootstock that has been crafted to accommodate two sitting people and all the utensils needed for the tasting/ceremony, while the attendants had to stand. He seemed to be pleased by my taste and kept challenging me by, after every three brews, presenting a new tea with improving quality. The taste of tea changes with the number of times it has been brewed. There are people who prefer the first brew, others the second. Depending on a few variables like water temperature, extraction time and tea water ratio, the amount of times a single high quality tea can be brewed can be as high as 14 times. But the shop owner didn’t allow for it to go that far. For him, it was important for me to know the full spectrum of the teas he had to offer. I was in tea heaven, at least I thought I was but as I was about to discover not even near it, yet. Over the sequence of teas, the master was inquiring where my knowledge about Pu’Erh derived from, a tea that supposedly is not very well known in Europe. Having learned a few things about Chinese business culture, I told him that I have friends in Hong Kong and that just a few years ago, I was visiting the Guangzhou (Canton) tea market, dedicating my time there primarily on Pu’Erh. I sensed a shift in his demeanor as I told him about my experience and a single cup later, he invited me upstairs to his refugium or better, his tea room for special occasions, which turned out to be the equivalent of an exquisitely well stocked wine cellar. In the middle of the room, there was a plate on a table which was the single biggest piece that has been cut out from a tree that I’d ever seen, and I didn’t dare to consider the implications of this fact. Meanwhile, my host was guiding me around the sparsely lit and otherwise furnished room, pointing out the particulars amongst his teas. 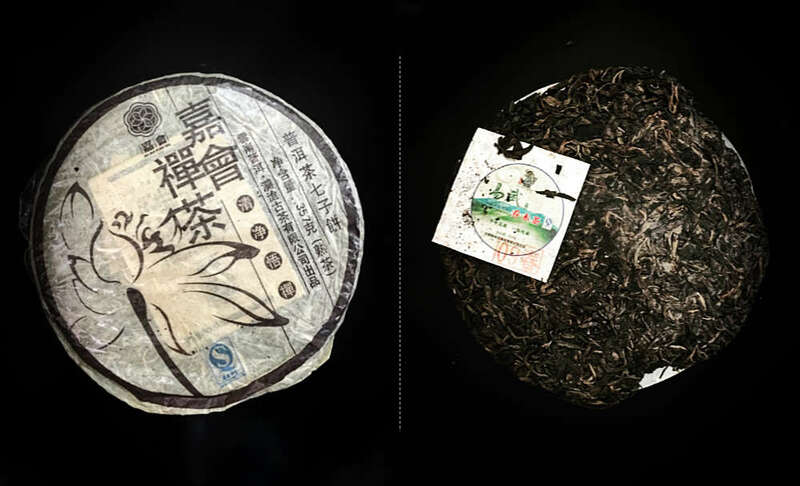 I was dumbfounded while discovering the price tags of a single Bǐngchá, a particularly pressed tea disk weighing 357 grams, because it was the same tag I had seen on a brand new car back in Germany. I still don’t know whether or not he wanted to impress me or was just being friendly. He invited me to try the tea I just looked at–I was in awe. This time, it was a raw Pu’Erh, one of the two existing styles of Pu’Erh that can be distinguished easily from its fermented counterpart, by the greenish color. The tea was 25 years old, which evidently contributes to the intense aromas and the price. It’s for sure not a tea for beginners as the taste is very strong, resembling an intense blend of various bitter and astringent compounds. Even after the eighth cup, it hardly lost any of its taste properties. And then I felt what I was thinking earlier during the first half of the tasting; I had come a step closer to heaven. The theine, the active compound that can be found in teas and can be compared to the caffeine in coffee, was kicking in big time. In retrospect, it doesn’t come as a surprise considering the amount of potent tea I drank; but there, leaving the shop after four hours, I realized that I was high on tea. I was light, responsive and alert, properties that I put to work immediately after realizing that it was my last day in Kunming and that I only had one hour left to find a post office to send off the 10 kg of tea that I bought or otherwise, risk adding it to my luggage the next day. In times prior to the event of smartphones, I was running like Lola in the movie named after her, just stopping to inquire about directions by means of gestures. The directions I was given were contradicting and I got a full exercise program, panting, with the carton in my hands. Fate must have liked the effort I was putting in because miraculously, I entered a post office in time to have the doors closed behind me. After getting the package shipped, I still had the urge to run as it felt so natural in the energetic state I found myself in. The next day at breakfast, my friends were telling me what a chatterbox I was the night before and how I urged everyone to go out dancing. I was sure it was because of the impact of the tea. Although the repercussions of my trip on tea weren’t as heavy as with the excessive consumption of other substances like alcohol, I felt a similarity in the pattern. Since then, I make sure to drink my tea in the right amount. Math grew up in a tiny village near Berlin, Germany. He's traveled, explored different cuisines and attended various cooking schools. 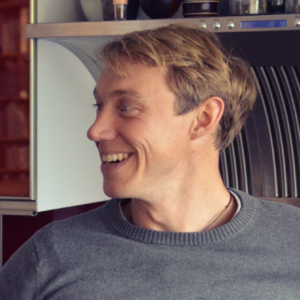 His interest in food production led him to study organic agriculture at the University for Sustainable Development and gastronomy at The University of Gastronomic Sciences. He caters and cooks for special events and enjoys pursuing food related projects.